With most part of the design in varied materials, the highlight of this kitchen interior theme lies in the built-in door handles that demand attention! This stunning kitchen interior theme is all about functionality and detailing. Homes where drawers and cabinets have a major role to play, this design is exclusive for such spaces. 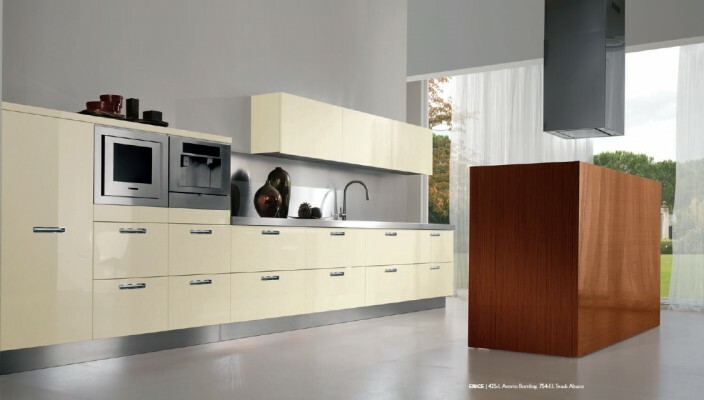 With the cabinets, drawers and doors having built in handles, this theme allows easy and smart installment and use of modern kitchen technology and appliances. With most of the design made of metals, this design also works on the budget front. Appealing and stylishly conceived!